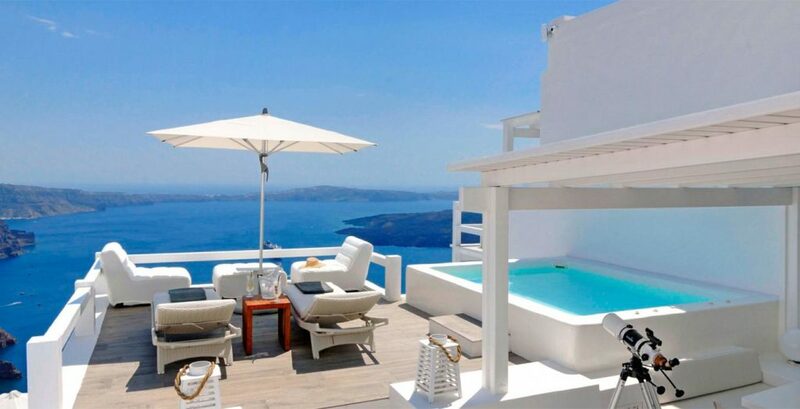 Aqua Luxury Suites have a choice of quality accommodations which can sleep from 1 to 4 people in true luxury. 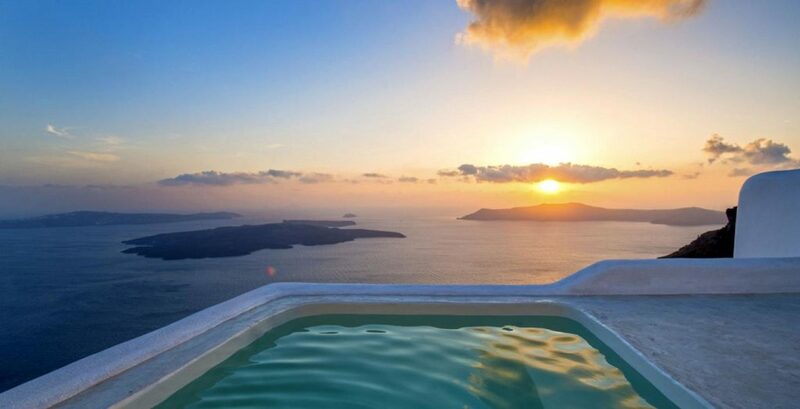 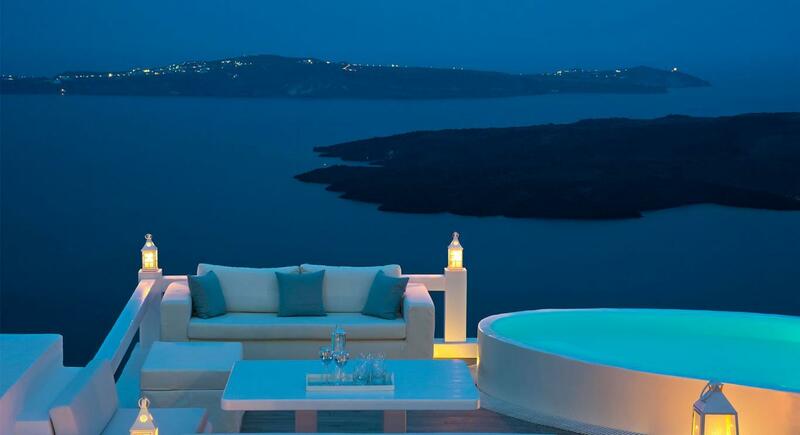 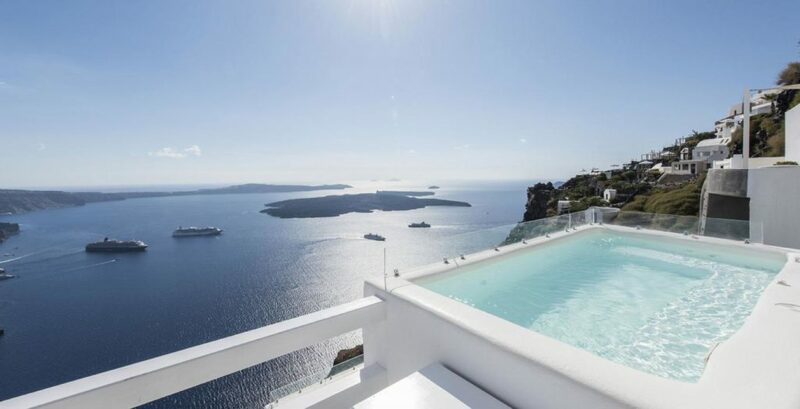 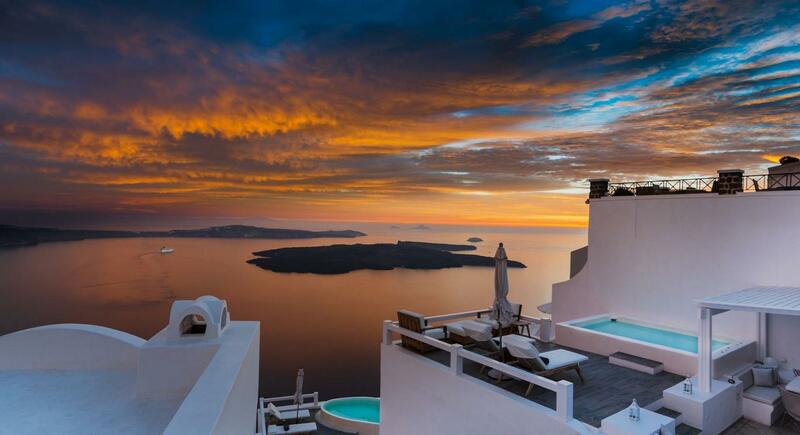 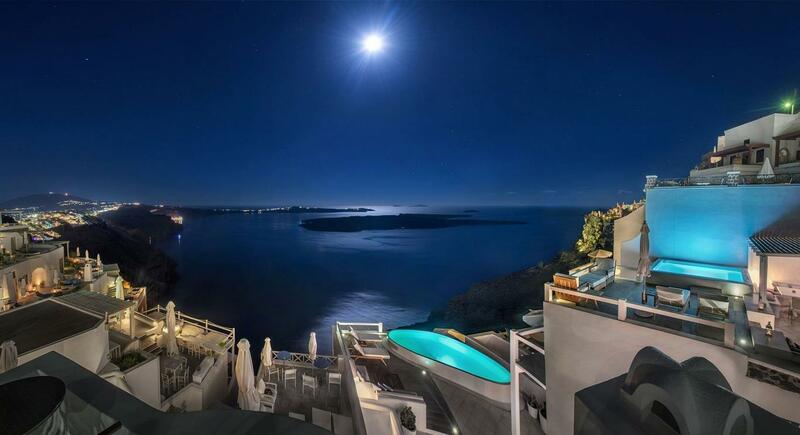 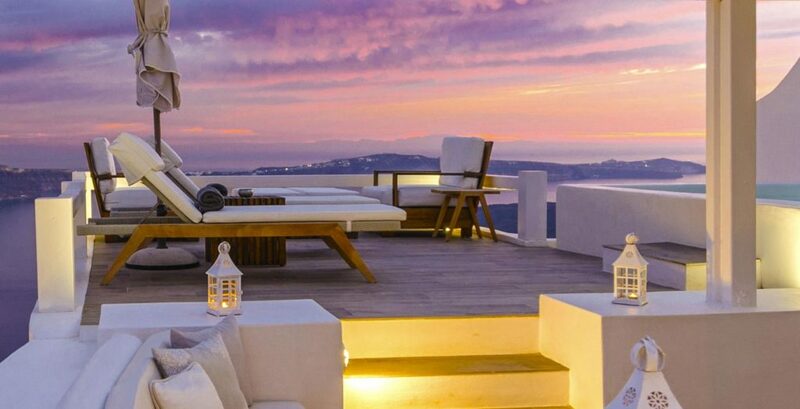 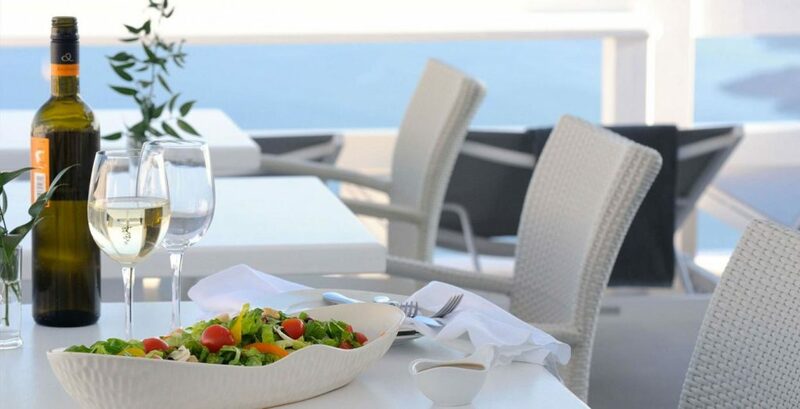 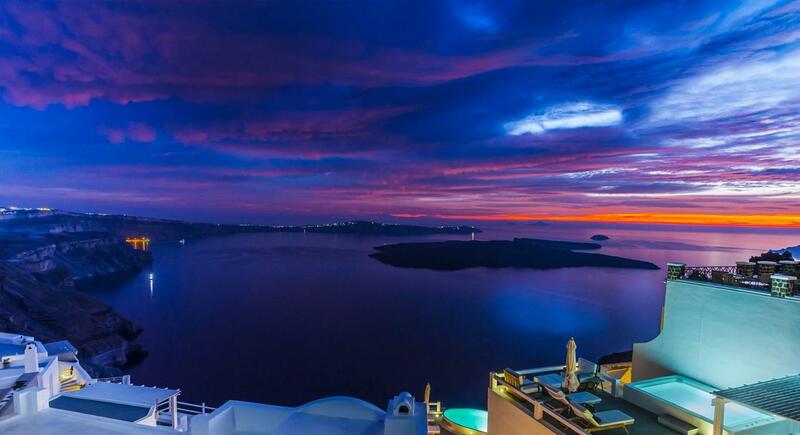 Wonderful location looking across the blue Aegean sea and the Caldera of Santorini, the Aqua Luxury Suites and Villas is just moments away from the center of Imerovigli. 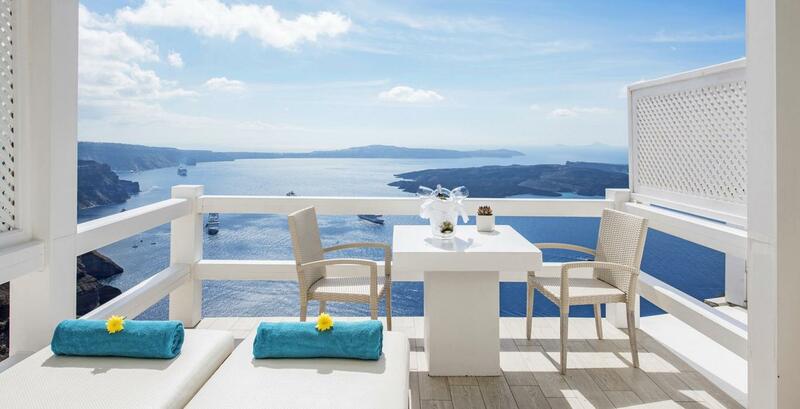 Each suite is individually decorated with style and ultimate comfort all with breathtaking views from a private terrace. 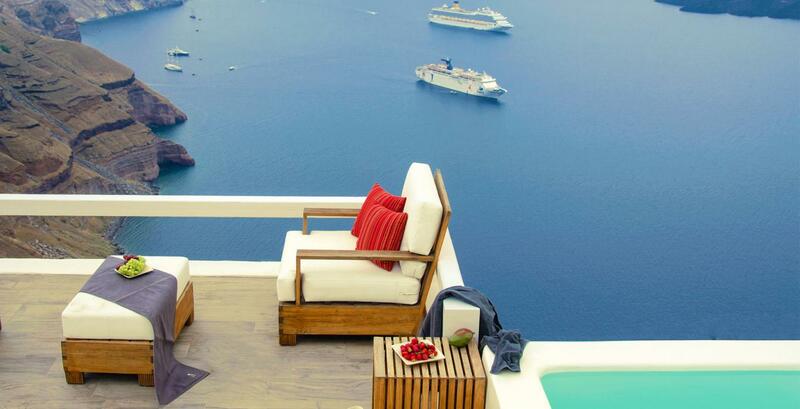 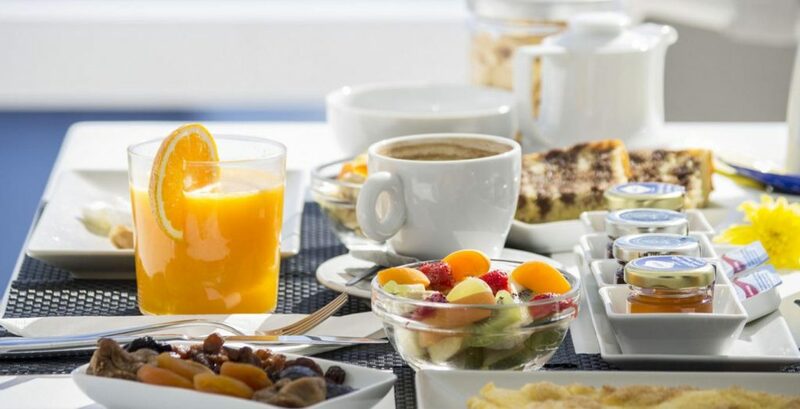 A number of suites offer private hot tubes and all guests are served a daily breakfast on their private terrace. 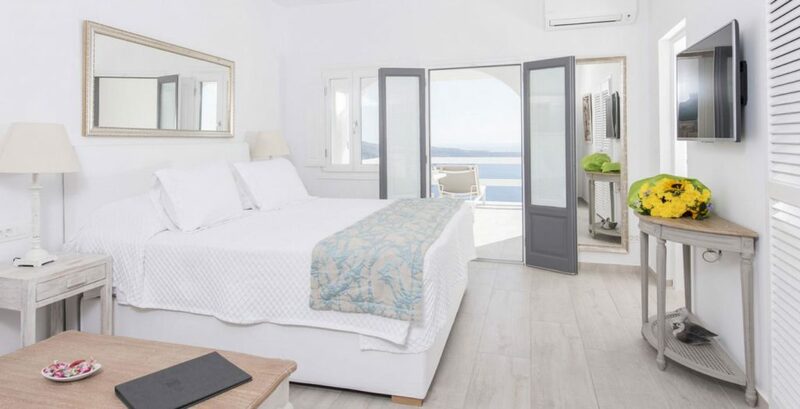 The property offers a total of 20 luxury suites and 2 cozy villas, if you are looking for high-quality first class accommodation with excellent hotel facilities this would be the perfect choice for your vacation. 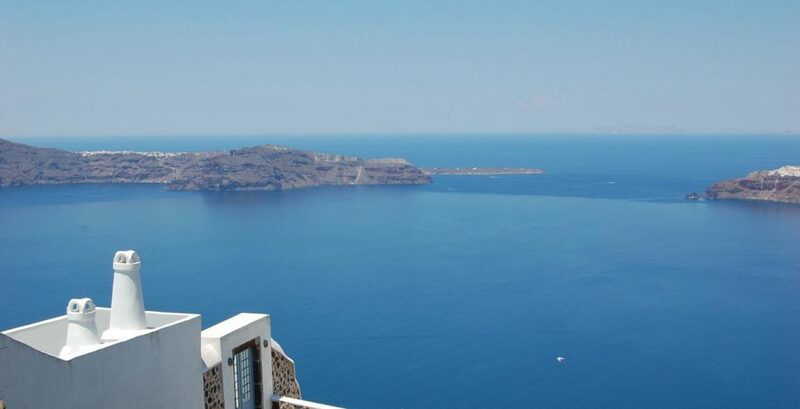 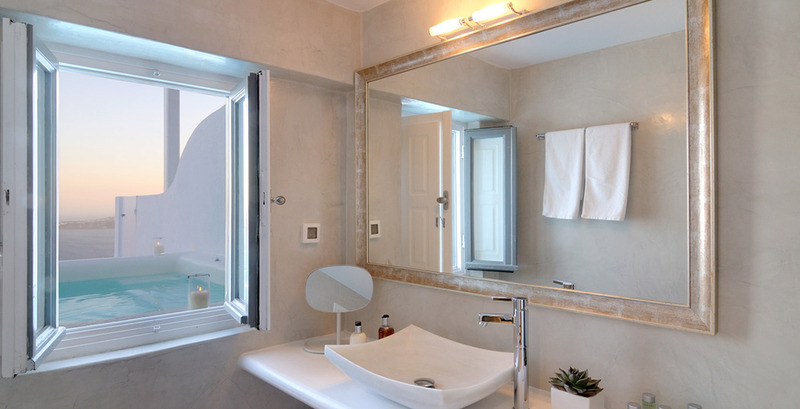 Each unit can be booked individually or the whole property can be booked for large groups making it one of the best properties in Santorini for discerning wedding groups. 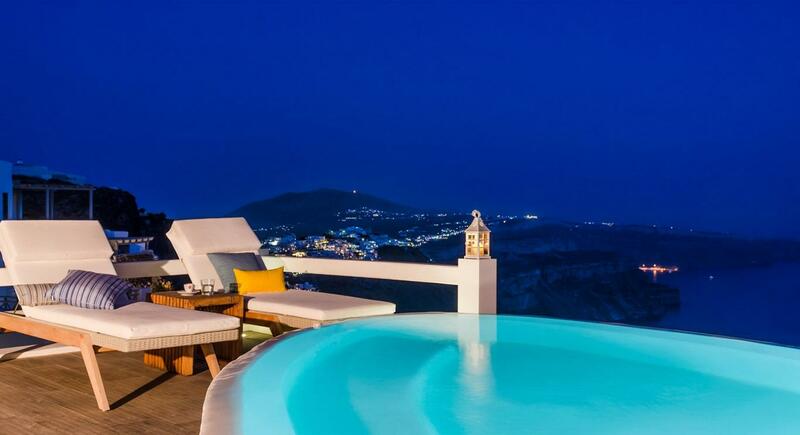 The property offers a Spa and beauty center, terrace with plunge pool and bar service which also offers a selection of gourmet dishes to enjoy with rich Mediterranean flavors. 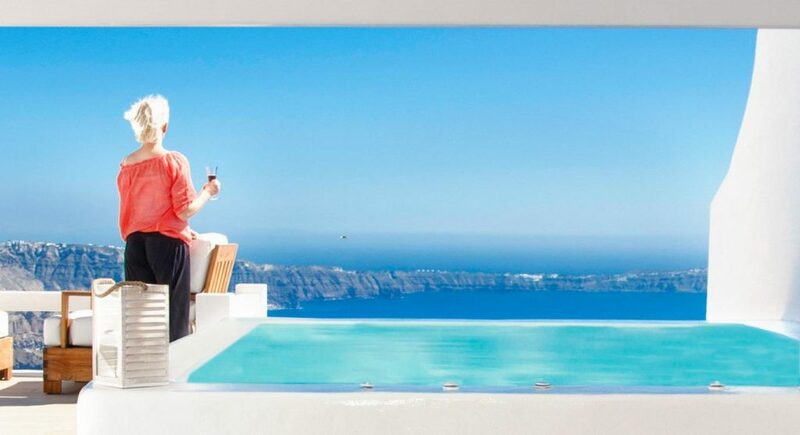 Weddings and Honeymoons – Aqua luxury Suites has a team of professionals to arrange every detail for a perfect wedding, together with its perfect location what could be better. 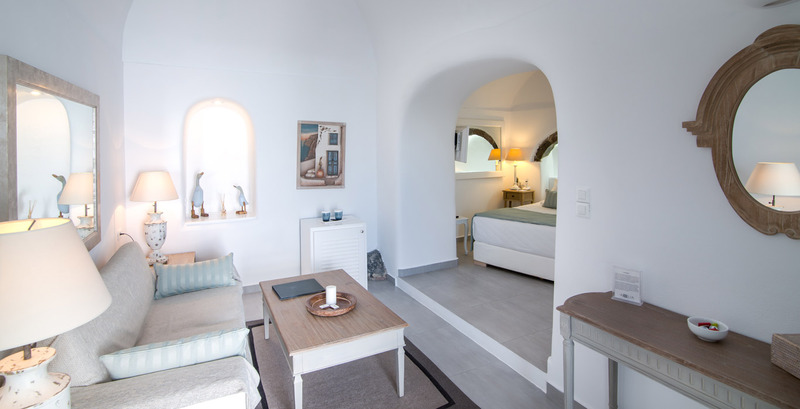 The property offers various styles of accommodations, please contact us for further information and the best available rates.